Born: 29 April 1870, Hexam, Northumberland, England. William Taylor Heslop was educated at Armstrong University College, Newcastle-upon-Tyne. He was a member of the (British) Institute of Mining Engineers and a Fellow of the Geological Society of London. He came to the South African Republic (Transvaal) in 1895 as manager of the Central Collieries. Two years later he married Helen Ziervogel, with whom he had five children. After her death in 1932 he married Alma E.M.U. Reiche. In 1898 Heslop moved to Natal, settling at Hattingspruit (north-west of Dundee) as general manager of St Georges Coal and Estate Co., Ltd, a post he retained for 19 years. For some time around 1908 he was a member of the Dundee Cottage Hospital Board. Around 1917 he was chairman of the Natal Mine Managers' Association. By 1923 he was a director of Union Glass, Ltd and the Dundee Brick and Tile Co., Ltd, and proprietor of Avon Colliery, Dundee. This still applied in 1927, by which time he also served on the Natal Coal Grading Committee. Heslop's hobbies were geology, sociology, horticulture, and later shooting. He became a member of the Geological Society of South Africa in 1897 and was still a member in 1919. 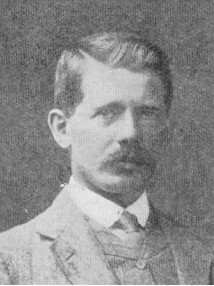 His first geological paper relating to South Africa dealt with "Later volcanic eruptions on the Witwatersrand" and was published in the Transactions of the Geological Society of South Africa (1898, Vol. 3, pp. 49-52). Next followed three papers dealing with the coalfields and coal industry in Natal (1900-1901) in British journals. In 1907 he read a paper, "Some problems in Natal coal mining" at the annual congress of the South African Association for the Advancement of Science in Durban, a summary of which was published in the association's Report (p. 57) for that year. Ten years later he published two more papers on the Natal coalfields and their development, in the South African Mining Journal (1917) and the Journal of the Chemical, Metallurgical and Mining Society of South Africa (1917) respectively. A later paper by him on "Coal in South Africa" appeared in the latter journal in 1924. Judging by his participation in the discussions of papers by others he was an active member of both the Geological Society of South Africa and the Chemical, Metallurgical and Mining Society of South Africa for many years. Geological Society of South Africa. Transactions (and Proceedings), 1899, Vol. 4; 1906, Vol. 10; 1915, Vol. 18; and 1920, Vol. 23: Lists of members. National Automated Archival Information Retrieval System (NAAIRS). http://www.national.archives.gov.za/naairs.htm Documents relating to Heslop, William Taylor / Heslop, W.T. South African who's who, 1917/18, 1919/20, 1923/4, 1927/8.